Last week, Cruise Critic announced its UK and US Cruisers Choice Awards for 2013 and Celebrity and Azamara came out at the very top of all the lines, for large and small ships, respectively, while Oceania took top prizes for their medium-sized Marine and Riviera. Disney also captured top places, but only in the US, and a surprise winner on both sides of the Atlantic was Thomson Cruises. You can see the detailed results in this week’s Cruise Examiner. Meanwhile, Nassau forgot one of its regular callers last month and didn’t have a spot for the Norwegian Epic when she arrived for her usual Friday visit the week before last, and we take a look at the incursions the all-inclusive concept is making into the cruise market. Sister lines Celebrity and Azamara walked away with the top positions in the Cruise Critic Cruisers Choice awards last week. Looking at the top five ships in three categories in the UK and UK polls, Celebrity scored nine firsts and Azamara eight, followed by Oceania and Thomson with six each. 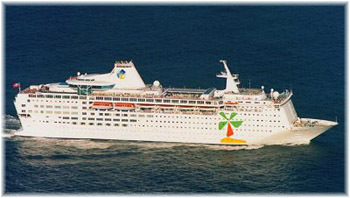 For purposes of its polls, Cruise Critic defined a medium-sized ship as carrying between 1,200 and 1,999 passengers, with anything above that being defined as large and anything below as small. The results are laid out below for the best five ships in each of category for each of the UK and US, as well as the best ship in each category for dining, entertainment and service for the UK and US. The actual ships’ scores are given in brackets. Some of the surprising results: are laid out below. The most interesting result was that of the forty-eight results laid out above, Royal Caribbean brands collected eighteen of the top spots, compared to only four for Carnival brands. Celebrity’s nine wins were all for 2,850-berth Solstice class ships except for 1,814-berth Celebrity Century positioning third in the UK medium ships category. Celebrity took the UK’s top three large ship positions. Azamara did proportionally even better in that with only two 684-berth ships, it managed to pick up eight of these awards. The other Royal Caribbean win was the 5,408-berth Allure of the Seas, which took third-best large ship in the US results. Oceania managed six wins in the categories we have chosen above, all by its two newest ships, the 1,258-berth Marina and Riviera. But the real surprise was Thomson Cruises walking away with six awards, not only from their own market in the UK but also from US voters. We can think of only one reason for that and that is that the UK results must be included in the US ones, but the website is not clear as to the methodology. Certainly, with Thomson selling off brands, such as their ski operation Neilson, and contemplating unloading others to pay down £1.6 billion in debt, any aspiring bidder might look at Thomson Cruises as a possibile acquisition. That its older ships should have achieved tops in the mid-size awards for entertainment in both polls and also outscored Carnival’s brand-new 3,690-berth Carnival Breeze makes Thomson worth a look. It is actual cruisers who are being polled here and of the Carnival brands only one ship from each of Carnival, Cunard, Holland America and Seabourn managed to score in this sample, and none from P&O or Princess. 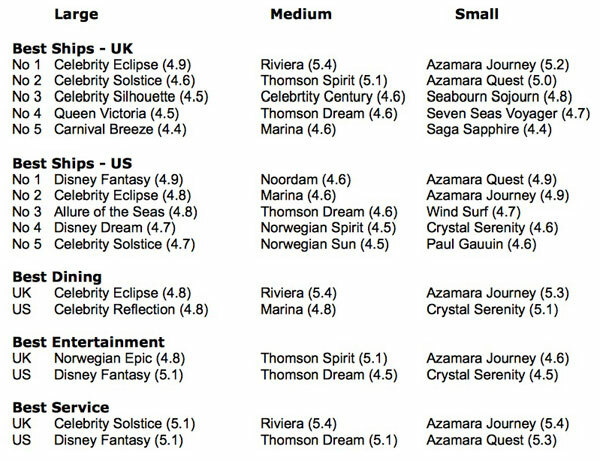 What makes it even odder is that Carnival Breeze won her spot in the UK survey and not the US one. In the US, Disney managed to score as many wins as all Carnival brands combined. Norwegian Cruise Line and Crystal each achieved three places, but Azamara’s two ukltra-premium ships taking eight places to only three for Crystal’s two ultra-luxury ships is an interesting surprise. 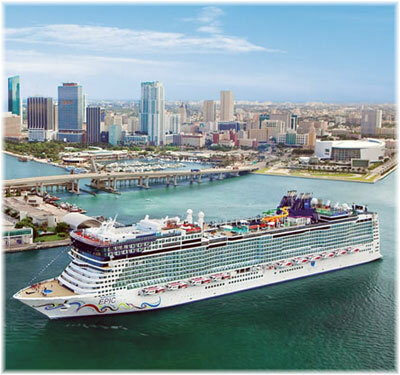 It did not come to our attention until last week but the 4,200-berth Norwegian Epic, a habitual Friday caller at Nassau on winter cruises from Miami, was turned away from that port on February 22 after the port forgot to save a berth for her. While another passenger on this cruise said that extra activities were laid on on board Norwegian Epic, back in Nassau tour operators, taxi drivers, hotels and merchants were outraged that the ship had sailed away with 4,000 purses and wallets. One account in the Nassau Tribune reported the loss to just one property alone, the Atlantis Hotel on Paradise Island, at $100,000. The Nassau Port Authority blamed the missed port call on a scheduling error but evidently no one there was willing to explain the error to reporters. Nor has it been reported what ship was in the Epic’s usual place when she arrived. This month sees Thomson Cruises’ 1,504-berth Island Escape go all-inclusive on the 13th and Azamara Club Cruises’ Azamara Quest on the 27th. 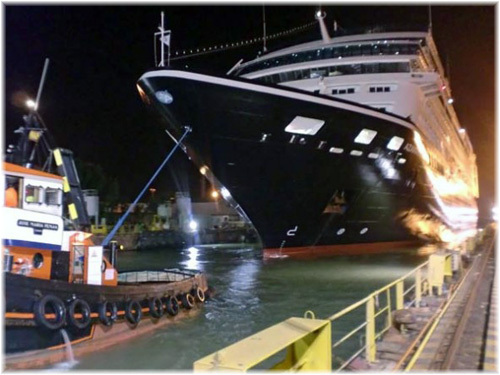 Fleetmate Azamara Journey will follow on May 15. With Crystal having joined Regent, Seabourn, SeaDream and Silversea in the all-inclusive list last year, and Azamara joining this year, this leaves only two lines that still charge extra for drinks. Ultra-premium Oceania charges shoreside hotel prices while ultra-luxury Hapag-Lloyd Cruises still makes just moderate charges for drinks, equivalent really to duty-free prices. Only one other market, Spain, includes drinks in their fares so far, with Pullmantur having been the first to introduce an all-inclusive product and Iberocruceros following them about eighteen months ago. Iberocruceros, however, will deduct €112 (about $155) per person per week from the fare if passengers in any particular cabin prefer to pay their own bar bills. This has been further confused by Iberocruceros including lunch and dinner drinks in some special fares, so their system is less clear than Pullmantur’s unequivocal all-inclusive package. The same drinks all-included fares also apply to Pullmantur’s French Arm, Croisières de France, where the 1,478-berth Zenith will join sister ship Horizon this year. Some lines such as Celebrity and Oceania have drinks packages that can be booked at about $100-120 per couple per day, while Royal Caribbean and Norwegian Cruise Line have been experimenting with only certain ships. This $100 and up price per couple per day is more than twice the roughly $45 equivalent on Iberocruceros and Louis Cruises. In the UK, Fred. Olsen Cruise Lines and Thomson Cruises have also been using “free drinks” as a depression sales tool to attract more bookings, as has Celebrity Cruises until last month, by throwing in free drinks packages on cruises that were booked before last Friday. This trend follows the incursions made in the holiday market by all-inclusive resorts, where according to some sources, all-inclusive bookings account for up to a third of the resort holiday market. So far in the cruise market this has broken down into true all-inclusive products and those with an “add-on” drinks package that can be paid in advance. Among the latter, the European lines offer much better value than the American ones, where drinks packages cost twice as much. Meanwhile, the biggest advantage to consumers is that they know more or less what they are paying in advance there are no surprise bills at the end of the holiday. The one line that differentiates itself from all the others of course is Regent Seven Seas, which also includes all shore excursions in its fares. 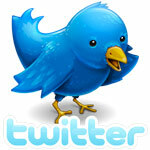 With both shares trading around $28 on February 8, we decided to keep an eye on these two shares for a while. Here are the last three weeks’ results, at close of markets on Fridays.